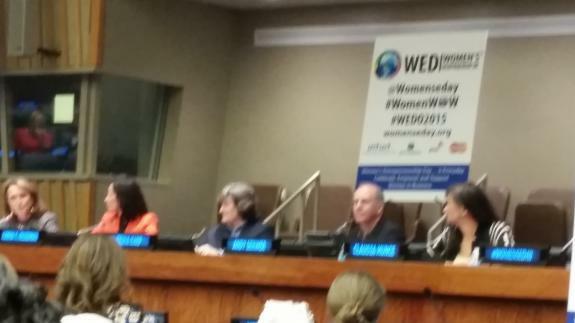 USFMEP President Sally Kader was delighted to be present at the Women's Entrepreneurship Day (WED) event, hosted in the United Nations Headquarters. Women's Entrepreneurship Day was first established in 2014 when 144 nations recognized November 19th as the WED. The day is meant to be a celebration and acknowledgement of women in business around the world, and the contributions they have made in the furtherance of society. As the empowerment of women is one of the core foundations of the USFMEP, we strongly support the purpose of the WED, and condone the celebration of female professionals around the world. Since its inception in 2001, the USFMEP has called for the empowerment of women worldwide, and has hosted numerous events to promote that message to various communities around the globe.